ROC ATD currently is using this blog to provide news and other information to ROC ATD members and others visiting this website. For information on our upcoming programs, please visit the events calendar. The Instructional Designer is responsible for analyzing, designing and developing high quality training content for technical, sales and operations learning programs for our retail stores. This role focuses on instructional design and curriculum development and the delivery of training. You will play a significant role in the training and development of a successful and effective retail network support team. Check out this link for more information and to submit your resume. 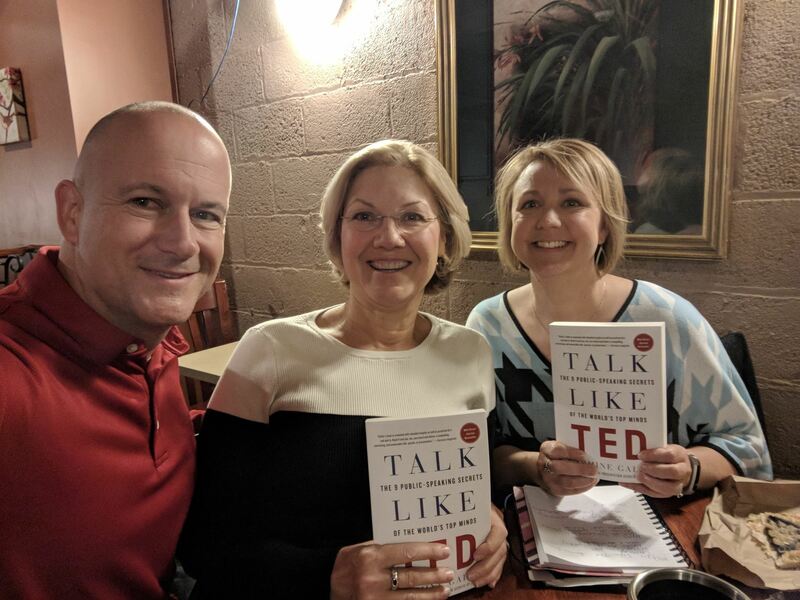 Just a quick thank you to our Talk Like Ted Book review and discussion participants this morning at Fina's in High Falls. We discussed the Ted factors, shared our experiences and discussed the application of the factors to our training work. The primary responsibility of the Municity Installer/Trainer is to install and configure the Municity Building/Code Enforcement Software to meet the needs of General Code’s municipal customers. Please use this link (https://generalcode.atsondemand.com/) to review the job description and apply if interested. UTC Climate, Controls & Security is a leading provider of heating, ventilating, air conditioning and refrigeration systems, building controls and automation, and fire and security systems leading to safer, smarter, sustainable and high-performance buildings. UTC Climate, Controls & Security is a unit of United Technologies Corp., a leading provider to the aerospace and building systems industries worldwide. The Fire and Security Products group at UTC Climate, Controls & Security develops a comprehensive product portfolio to protect buildings, people and assets; providing innovative security products that include advanced software and hardware, IP solutions, wireless communications, electronic locking systems and mobile applications, fire extinguishers, carbon monoxide and smoke detectors, and fire suppression systems . Among its leading brands are Lenel, Interlogix, Supra, Onity, Kidde, Fenwal, and Marioffoffering robust security and life safety systems, affordable, flexible lock and key management solutions, and fire safely equipment and systems. We are currently seeking qualified candidates for a Manager of Content & Development position at our Lenel headquarters in Pittsford, NY. This position is responsible for leading and overseeing multiple curriculum development functions within the Global Education team. The Manager of Content & Development will work closely with Subject Matter Experts (SMEs), Instructional Designers, and learning and development team members to apply adult learning strategies to create innovative, engaging, and interactive content within a variety of training solutions. Learning product deliverables include eLearning, webinars, and instructor-led courses in online, blended, and classroom learning environments produced using sound instructional design principles and best practices. This role will be responsible for acquiring and maintaining appropriate industry accreditations and oversight of certification programs. In addition, this position will oversee and administrate the Learning Management System responsible for delivery and tracking of eLearning content. This position will report to and be supported by the North America Security Products Training Leader. Lead and assist with internal and external course curriculum development, design, assessment, and evaluation. Administrate the Learning Management System to organize, deliver, and track eLearning content. Manage, maintain, and administrate the international Lenel Certification Program in compliance with IACET and ANSI standards. 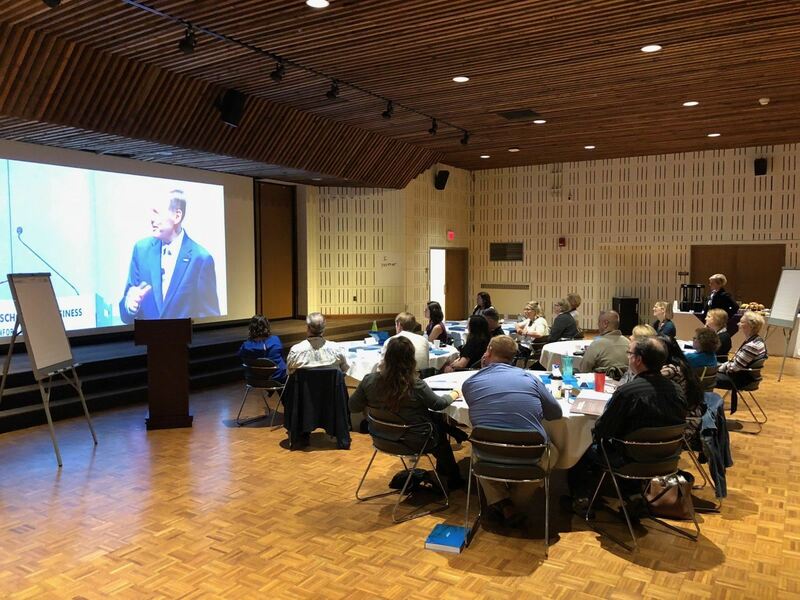 Coordinate training and development team resources to create classroom and online training content for product update training (Distance Learning) across multiple business units. Oversee the innovation of learning products by contributing ideas for new training materials and improvement of existing training materials. Manage design documentation that communicates learning objectives, content structure, assessment measures, and learning impact. Manage and maintain accreditation (IACET, ESA, BICSI, etc.) for certification resources. Develop, conduct, and analyze market feedback research to assist department in continuous improvement to achieve competitive excellence. Bachelors degree in Instructional Design, Education, Educational Technology, or a related field of study; Master’s degree preferred. Minimum 5 years’ experience in application of adult learning theory, instructional design, and online learning product development; supervisory/team leadership experience preferred. Ability to effectively and accurately manage several projects one at a time, prioritize and organize tasks, and meet deadlines in a fast-paced environment. Ability to lead and coordinate activities of learning and development staff or outsourced contractors. Advanced working knowledge of eLearning course authoring tools such as Articulate, Adobe Captivate and Creative Suite tools, Camtasia, and related software. Experience working in Learning Management Systems (LMS); Moodle experience preferred. Excellent interpersonal skills including a professional and diplomatic demeanor. Excellent consulting, problem solving, and analytical skills with a detail orientation. Experience in project management, with skills necessary to interpret what is needed for the success of a project and to create appropriate schedules for timely delivery. High level of organizational and time management skills. Must demonstrate outstanding judgment and mature business skills with the ability to establish a strong rapport with staff at all levels within the organization. Proficiency using standard Microsoft Office software such as Word, PowerPoint, Excel, Outlook, and SharePoint. 3-4 weeks (per year) domestic or international travel may be required; less than 20 percent travel for training, conferences, meetings, events, or special work projects. Click here to learn more and apply for the Associate Director of Leadership Development position currently posted on the University of Rochester website! What is the definition of elearning to the group? Basically anything delivered electronically. The group understood there is a bigger picture, but sometimes all you can get out is click and read. All agreed that most technology will just take the PPT slides and convert into an authoring tool, but that isn’t what really should be done. Some members of the group turn the PPT into an elearning template so that they can determine how to create real elearning. Product to take a look at: Adapt learning. It is somewhat like Rise from Articulate, but you don’t have to spend a lot of money to get it. Great suggestion to make dry content more interesting – wrap a story around it. This position is accountable for a continuous stream of quality learning solutions, exercises and materials in support of ESL’s learning and development strategy. The Instructional Designer works with the Learning & Development Manager and department staff to ensure trained, motivated and prepared new talent plus increase the capabilities of ESL talent organization-wide. Responsible for the assessment, design, development, and evaluation of a variety of new hire and developmental courses for ESL employees. Serves as a leading specialist in the design of multimedia courses, projects, and instructor-led courses that demonstrate sound instructional principles and promote mastery of subject matter. Click the link below to learn more and apply online. Competitive salary range and benefit package. Will support various development programs including: conducting analysis for improvement, launching and managing annual programs through completion and conducting effectiveness assessments. Will manage the segment’s tuition assistance program. Will conduct a variety of management/leadership training programs, conduct annual needs assessment and work with manager to build and implement the training strategy including sourcing external or internal content providers. As the segment training lead, is responsible for segment content in the learning management system. Will work with the LMS administrator and subject matter experts to review all internally developed training for effective adult learning practices, quality of material and most appropriate delivery method prior to the training be delivered. Will assist with managing on-time completion of compliance training and will support internal and external audits. May support employee engagement programs and community outreach programs as required. BS degree in related field plus 6+ years work experience including developing and delivering live and on-line training programs and creating and assessing training effectiveness.